Tidbit: Blind spot warning with rear cross-traffic alert is now standard, as is adaptive cruise control that works at all speeds. While neither of these is innovative, Hyundai says no other automaker offers them standard. Driving Character: The overriding feeling of driving the Equus is one of comfortable luxury, with plenty of power on tap from the 429 hp V-8 whenever driving needs get urgent. The suspension tuning is revised here, though we’d be hard pressed to explain the difference without driving an old Equus back-to-back with the new one. 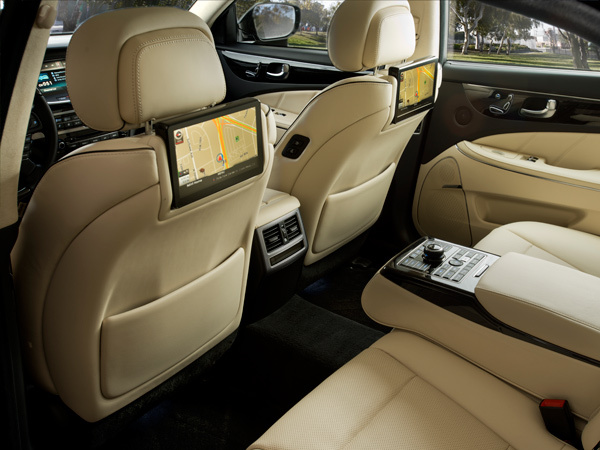 As before, this is a quiet, comfortable car that isolates the driver from the road in a way that aims directly at matching the serene experience of driving the Lexus LS. Compared to the new Merecedes-Benz S-Class, the Equus is lacking in precision handling and suspension fine-tuning. But then again, the Equus costs considerably less—an argument that always comes up with this car. Where the heck are we supposed to store our leftovers? 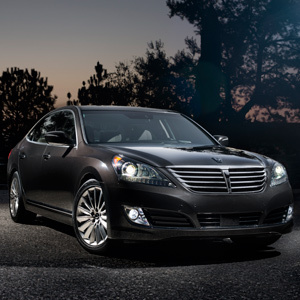 Bottom Line: More than any Hyundai, the Equus is targeted as a value proposition. Next to a comparably equipped Lexus LS, the Equus is about $19,000 less expensive. If you want something German with the same safety and technology features, it will cost you as much as an Equus plus a well-equipped Genesis Coupe. Granted, the Hyundai doesn’t have the presence, cachet, or even visual recognition of some of the established luxury brands (we still think the styling is anonymous), and the overall refinement is a step or two behind. But the Hyundai still feels like a legitimate big-luxury sedan. 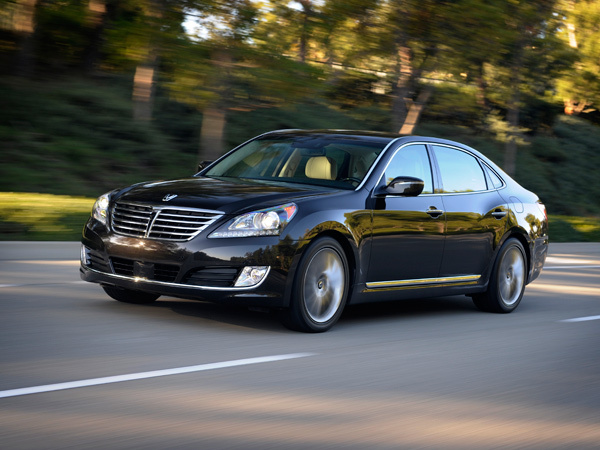 On top of the bargain price, Hyundai offers a valet service for Equus owners. Instead of taking your car to service, the dealer comes and picks up your car (and leaves a loaner car while you wait). It’s a good recognition of the fact that luxury means more than just a fancy name and a big sticker price. For some, it all adds up to make the Equus a compelling alternative to the traditional choices.